The proposed trail, spearheaded by Legislator Anker, is a 10-mile long shared-use recreational path. It will be built along the abandoned Long Island Rail Road right-of-way, currently owned by the Long Island Power Authority. The trail will run through the hamlets of Port Jefferson Station, Mount Sinai, Miller Place, Sound Beach, Rocky Point, Shoreham, East Shoreham, and Wading River. 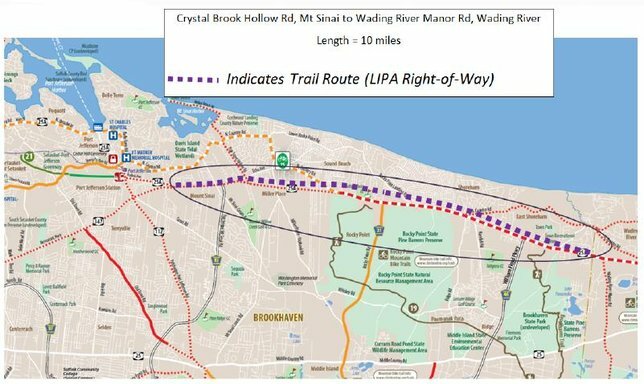 These meetings will give residents an opportunity to hear from the Suffolk County Department of Public Works regarding the plan for design and construction of the trail. For more information, please contact Legislator Anker’s office at 631-854-1600. Subject: LongIsland.com - Your Name sent you Article details of "Legislator Anker Announces Public Information Meetings for Rails to Trails"